Just off the main hotel lobby was a Chinese New Year garden. This was classic 'Vegas! This is what I brought Mary to see. Unless you see it, you just can't imagine the scale of how much money it must take to produce this level of detail over such a large area. 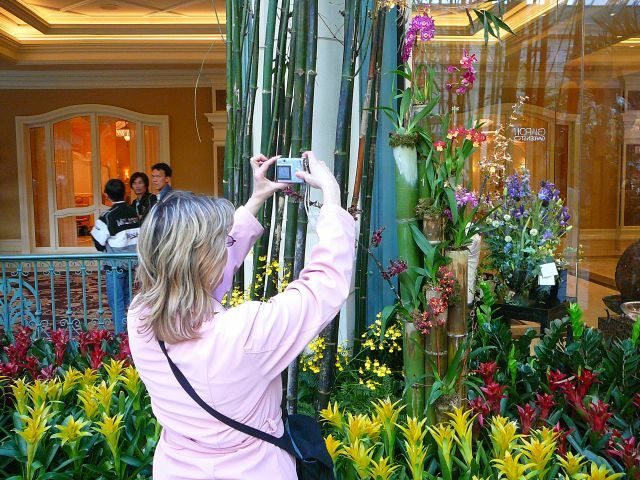 Mary is taking a picture of a particularly impressive flower arrangement.